One of the things about becoming an MVP is that you get notified about all sorts of interesting things coming in the world of Azure. 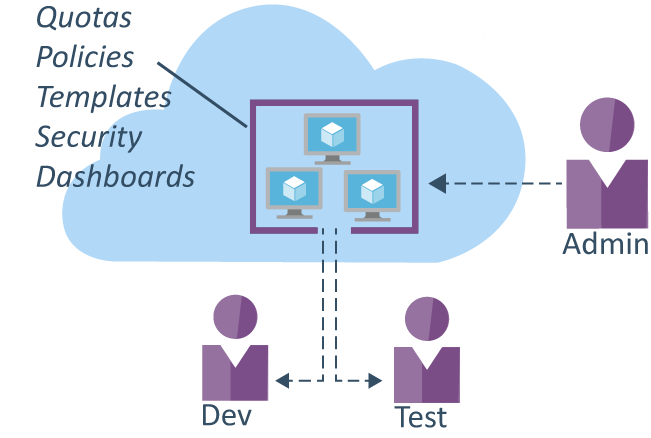 One new feature that caught my eye this week was Azure DevTest Labs, which is currently in preview. Claude Remillard gave a great overview of DevTest Labs at the recent AzureCon event. My interest in DevTest Labs (and the reason that I have registered for the preview) is the work the team has done to make it easy to spin up labs for testing purposes, they can be set to shutdown automatically when idle! (yay no more wasted spend!). As well as Development teams I can see this being useful for Infrastructure teams. One question I get asked alot is how can we give our staff the ability to create a couple of VM’s in Azure but control the spend……Do we have to create a subscription for each of them? I see DevTest Lab as solving this and allowing a single subscription to be used. A customer can setup a Lab for each staff member with a quota attached, with the scheduled shutdown or shutdown on idle enabled compute costs would be hugely minimised. I have been playing around with Azure AD in preparation for speaking at TechED NZ this year; once I got DirSync up and running I found that each new account that I created in my local AD could not log on to MyApps.microsoft.com unless I reset its password. This puzzled me for a couple of nights….What was I doing wrong ? It turns I was doing nothing wrong, what I was experiencing was the correct behavior when “User must change password at next log on” flag is set. This flag is set by default when creating a new User Account using ADAC. Unlike your local AD where staff get prompted to reset their password after logging in; when accessing MyApps.Microsoft.com staff get a user name or password incorrect and they can click on the link to reset their password. Innovation Lead at Datacom NZ by day and MS Azure geek at night. I also help run the Microsoft Wellington Infrastructure and Azure User group.